The United States is going to unveil a detailed plan concerning the denuclearization process of the Democratic People's Republic of Korea (DPRK) on Friday, US top envoy to the six-party talks Christopher Hill said here Thursday evening. "We are hoping some time tomorrow we will circulate a text for a joint statement for this round," he said. Asked about the talks with his DPRK counterpart Kim Kye Gwan, Hill said,"Basically, we have agreed on most of the disablement measures, and we made some proposals for additional measures we thought might be doable." The US envoy said he hopes a kind of road map will be agreed on and the key is the disablement steps and the declaration (of nuclear programs). 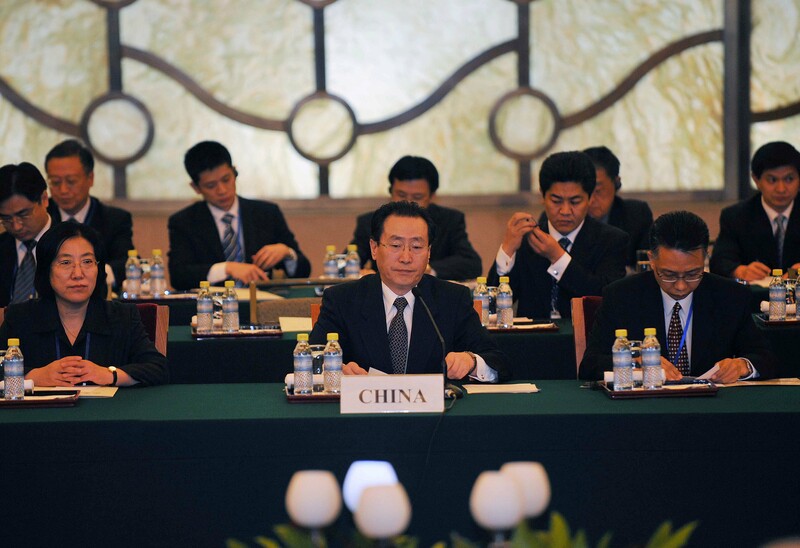 The second phase of the sixth round of the six-party talks opened in Beijing Thursday afternoon. The US delegation held consultations with other parties to the talks this morning. Immediately after his arrival in Beijing Wednesday evening, Hill had a dinner meeting with Kim Kye Gwan. The six-party talks aimed at resolving the nuclear issue on the Korean Peninsula involve China, the DPRK, the United States, the Republic of Korea (ROK), Russia and Japan. The first phase of the sixth round of talks was held in March this year in Beijing, which was concluded with a chairman statement.